This appears to be a week of personal revelations as I launched my book writing project. I don’t know if this is “normal” or not, but ideas and concepts are starting to line up. Although I don’t have “formal” training for writing, throughout many years I have studied a variety of disciplines. One is real estate appraisal theory and practices. Today I realized I am applying some of those principles to the process I’ve been using for this book. Since the book is nonfiction, maybe that will work? Time will be the judge and I would appreciate if anyone out there thinks this is completely “whack” they would let me know. Gently, please. Newbie would-be-authors can be fragile! Earlier I saw a need to refine and limit the material I would be covering. In “appraisal speak,” I had defined the SCOPE of this project. D = DEMAND Are people looking to purchase (read) what I want to write about. U = UTILITY Is this material usable? Can people put what I write about into practice? S = SUPPLY What is the competition? Is there an Undersupply or Oversupply of material out there? T = TRANSFERABILITY Is the work in a form that can be transmitted/transferred easily? Are there barriers to being published? I have been trained to look at value that way, and I have begun to apply it to this process. I imagine that the art and craft of writing likely has similar disciplines to apply to a body of work to indicate its value. I hope to discover some of those disciplines along the journey! Instead I took a much delayed sidestep to clean up my computer. Dang. It bit me again. Eighteen months ago I needed to perform an emergency replacement of my old computer (now in PC heaven) , with a snazzy, then-new computer running on the newly re-invented ribbon bar style 2007 MS Office Suite. I opted to install my old antique MS Office 2003 on it in order to be instantly up and running and thus avoid the learning curve and frustration of figuring out how to make the dang ribbon work. Since then, at my day job, I have adapted and learned to love the ribbon. But at home grit my teeth and painfully cope with the conflicts I created. It dawned on me, just today, that I need to stop living in 2003 (yes I am not very swift). If I am going to submit a polished product to an editor or potential publisher, I don’t want to drag in the old 2003 Word I have been clinging to. So, in the end, the decision to get serious about “the book” trumps my laziness! Well, I did it. Now my darling computer is running faster after a quick tune up, and I have moved one step closer, albeit still half a decade behind, to updated software. And also, as a bonus, misery loves company. I now know there are other people out there that took this same shortcut, and are now struggling to clean it up. I ran into quite a few of them in the forums I searched, and we enjoyed a nice pity party. I learned Microsoft has put together some nifty utilities to solve the problem, and if any of you reading this need to know more about that, just let me know and I’ll share what I learned. Back to my project now. The outline is starting to flow. Another bonus, I had lots of time waiting for downloads, installations and rebootings to think things through! Taking a Break from the Blog…. 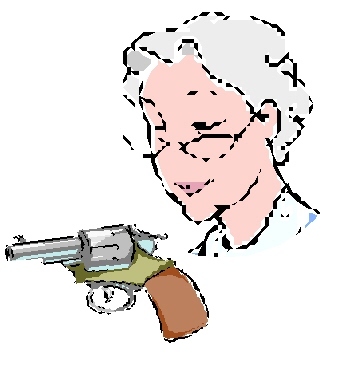 After reviewing what I have written since the beginning of the year, I think I have accomplished the first part of my “plan.” I have explored writing about the mature person’s experience in taking up handgun shooting later in life. Thank you to everyone who has commented, followed, and liked this effort. My intention is to take what I have learned from jumping through various topics, and now organize my thoughts and get serious about writing a book on this subject. To say that I am “ready” for such an undertaking would be foolish. There are only so many hours in a day, a week, a year, and time keeps ticking away. No time like the present to jump in, fully committed to the task.Don’t know how long this process will take, but I will be back posting here from time to time and check in on my new blog friends. Thanks again. Keep practicing and improving your skills, if I can help you with shooting related issues let me know, and always be “aware” in any situation – at home, in your car, at work, while enjoying the outdoors! I’ll be back!